BMW i3 electric car « Adafruit Industries – Makers, hackers, artists, designers and engineers! 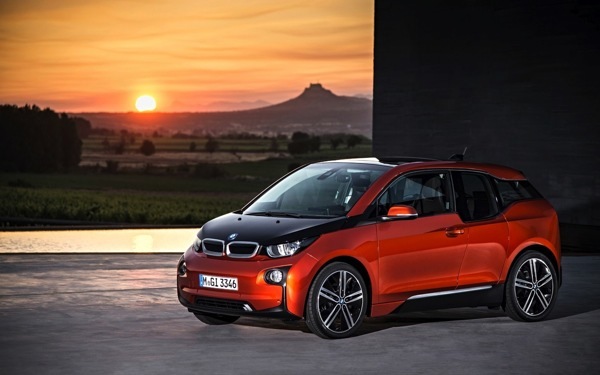 BMW i3 electric car – Autoblog. Previously if we recall correctly BMW was going to move towards fuel cells. Funny, I wouldn’t expect to see a battery rated in Kilowatts. All that would tell me is, perhaps, how quickly it could deliver energy to the motor. I think people (at least those who understand how to measure electrical energy, anyway) would be more interested in knowing the energy capacity of the battery. Kilowatt-hours is the dimensionally correct unit for that, as would be Joules. Capacity can be inferred from an Amp-hour rating if the battery voltage is known. I wish people would be more careful with things like that. I certainly didn’t expect that kind of gaffe from BMW.